The term was coined in 1938 by 9-year-old Milton Sirotta, nephew of American mathematician Edward Kasner. 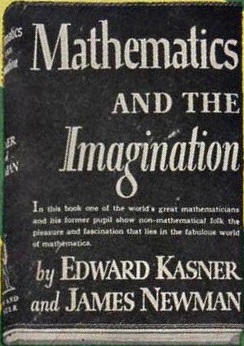 Kasner popularized the concept in his 1940 book Mathematics and the Imagination. Other names for googol include ten duotrigintillion on the short scale, ten thousand sexdecillion on the long scale, or ten sexdecilliard on the Peletier long scale. A googol has no particular significance in mathematics, but is useful when comparing with other very large quantities such as the number of subatomic particles in the visible universe or the number of hypothetically possible chess moves. Edward Kasner used it to illustrate the difference between an unimaginably large number and infinity, and in this role it is sometimes used in teaching mathematics. This number is notable for being the subject of the £1 million question in the infamous episode of Who Wants to Be a Millionaire?, when contestant Charles Ingram cheated his way through the show by getting help from his wife Diana, who was in the audience, and fellow contestant Tecwen Whittock. It is also the namesake of the internet company Google, with the name “Google” being a misspelling of “googol” by the company’s founders. 1 Googol (1E100) is a small fraction more, than the biggest number a usual hand-held calculator can display and handle, which is 9.999… x10E99 in scientific notation with a two-digits exponent. 69! can usually be calculated, but not 70!.